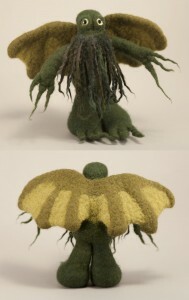 Recently my friend Colleen helped me take studio shots of my felt work. 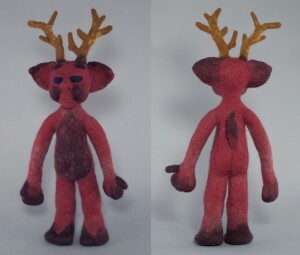 Here are the ones that I haven’t posted images of previously. 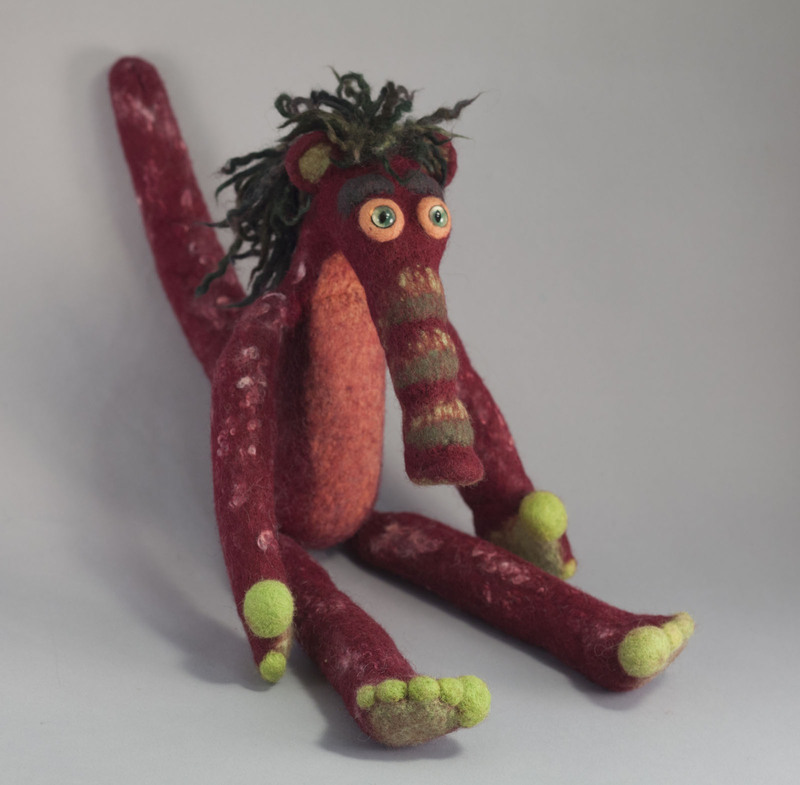 This first one is a funny little monster that I think looks a bit like an aardvark. 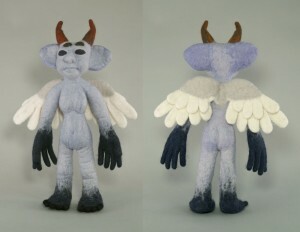 She is the first creature I’ve made using the ultra-fine merino I just got from Opulent Fibers in Portland Oregon. Her name is Una. 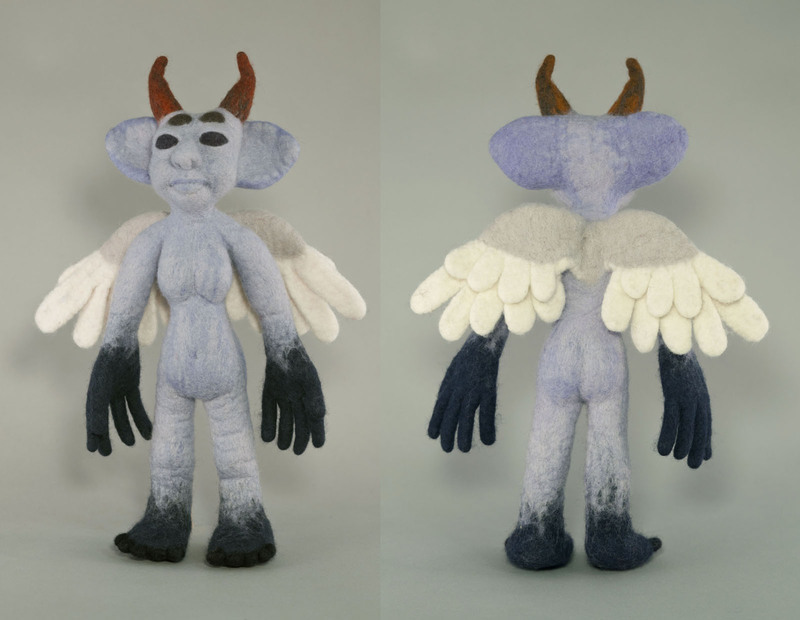 I’ve been calling this lady Afrit, she’s mostly made of merino from The Weaving Works, this was my first attempt at making feathered wings and I’m really excited with how they turned out. 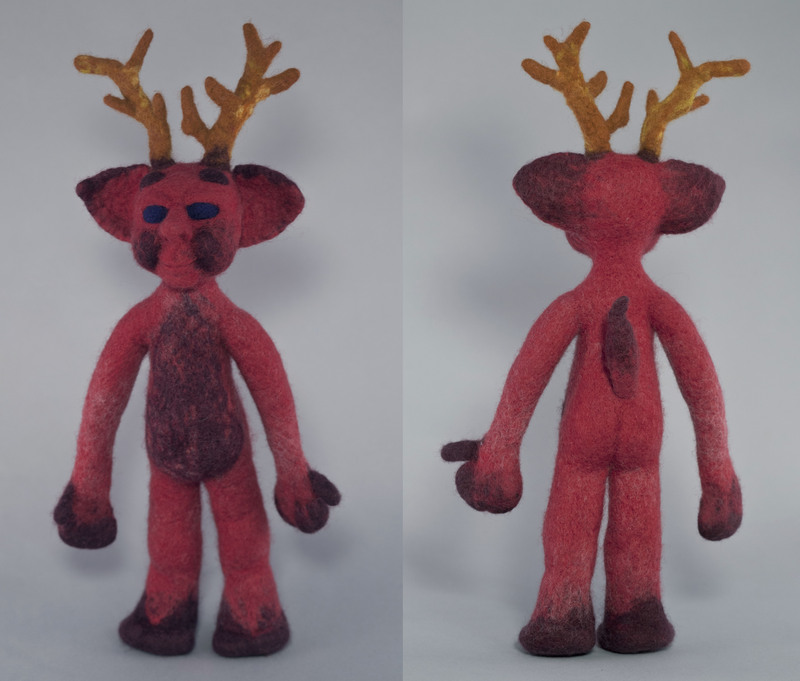 This cuddly Krampus figure is also made of merino, with a coarser wool stuffing material as a core fiber. The longer fibers migrated out when I wet felted him and gave him a bit of a hairy belly. 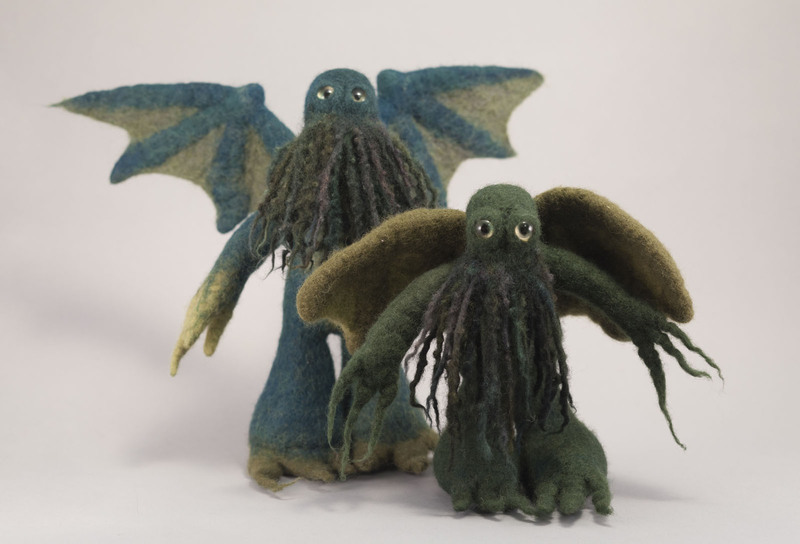 Here are the two Cthulhu plushes from the featured image, the first one I made for Nick’s birthday present this past October. Both of these guys are mostly made from New Zealand Corriedale wool. You can see my learning curve in the differences between it and the second one. I still have a long way to go before I could claim mastery over this medium but I am really enjoying exploring it!